What Is Subwoofer and How It Works? How to Optimize Subwoofer Performance? Have you ever had one of those moments when watching a movie in a cinema and wondering how they managed to achieve such a nice and powerful sound? Well, in most of the action or dramatic scenes, the key is the subwoofer. This thing is one of the key elements of every good speaker system, no matter if it is 2.1, 5.1, 7.1, or bigger. If you want to buy a great home theater system or to add a subwoofer to your existing speaker system, stay with us and you will find out all about the importance of a subwoofer and about different ways of optimizing the subwoofer’s performance. Subwoofers are different from the regular speakers because they are made specially for reproducing very low-frequency tones, usually from 20 to 125 Hz (or up to 200Hz). Subwoofers are the inseparable part of every quality speaker system because regular speakers can’t produce such low tones. Actually, these tones are so low that you may not even hear some of them but you will definitely feel them due to strong vibrations. Subwoofers are easily noticed because they are often the largest speakers in the speaker system, they have their own enclosure and their diameter can vary from 20cm to 40cm. When it comes to subwoofers, the larger is always better because only large speakers can reproduce extremely low frequencies. These speakers are usually connected to the audio receiver or amplifier/preamplifier (like all the other speakers in a system), which sends the low-frequency signals or low-frequency effects (LFE) to the subwoofer. The speaker amplifies the incoming current, the magnetic coil moves and creates the cone vibrations which are converted to sound that we hear. In order to produce such powerful sounds, the subwoofers are usually provided with their own power supply. Technically speaking, a subwoofer is not absolutely necessary – your speaker system will work even without one, but there are many reasons why you should have it and here they are. As we’ve said, regular speakers can’t reproduce all the frequencies – they won’t be able to deliver the lowest tones and, as a result, an important part of sound will be taken away from you. Without the subwoofer, you will be exposed to poor bass or too stressed highs. The sound won’t be balanced and full. However, bass and sub-bass frequencies are the ones that add fullness to the sound, making it complete, rich, powerful and even three-dimensional. This means that without the low-frequency tones, you will be just a passive listener of a soundtrack or a passive observer of a movie scene. Well-produced low-frequency tones involve you into every scene, into the music, and, of course, enable you to feel, hear and see exactly what the artist wanted you to feel, hear or see. 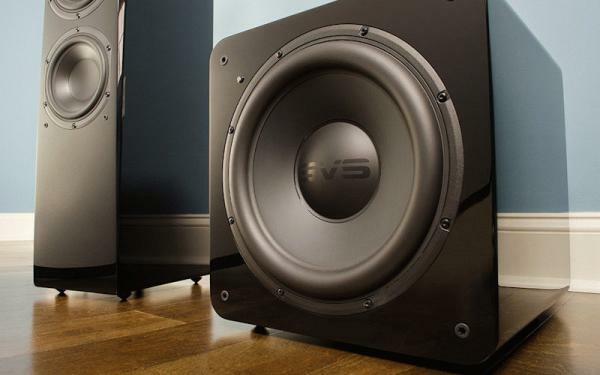 Even if you aren’t able to hear some of the extremely low bass tones, you should have a subwoofer that can produce them because you will definitely be able to feel them through the vibrations of your furniture. Without well-produced bass, you won’t be able to hear the drums well just like you won’t be able to feel all those explosions in action movies. Of course, in order to get a perfect subwoofer performance, it is not enough to simply buy the subwoofer and connect it to the source (receiver, amp). Good installation is the key factor. In the following text, we will explain what you can do to improve the subwoofer’s performance. Poorly installed and placed subwoofer could deliver too boomy or poorly defined bass. In both cases, there will be a gap in the frequency spectrum between the regular speakers and the subwoofer, which means that you won’t be able to enjoy your music or video content completely. On the other hand, a nicely installed subwoofer brings so much joy to every room and once you experience the real feeling, you won’t be able to settle for anything less than perfect. When we say “subwoofer installation”, we actually mean its setup and its placement. These are the key factors that affect its performance. Let’s see how you can optimize it and adjust to your requirements and preferences. Many will say that subwoofers are non-directional speakers and that you don’t really have to worry too much about their placement. This means that there is no fixed or special place where your subwoofer should stay in your apartment in order to produce perfect bass. Well, this is only partially true. You will definitely feel the vibrations and hear the bass wherever you place the subwoofer but that doesn’t mean that its position in the room is completely irrelevant. The subwoofer placement can significantly lower or enhance the overall sound quality. The perfect placement should be thoughtfully planned because the final effect depends not only on the subwoofer placement but also on the furniture placement. You can find out more about this in our previous articles. Poor/wrong subwoofer placement can be the key reason for disappointment with a new home theater system, so let’s see how to avoid that. Placing the subwoofer in one of the corners of the room or simply near one of the walls, improves its performance in the way that increases the overall level of bass. This happens because wall proximity causes the sound coming from the subwoofer to reflect from the walls, which increases the bass power and strength. If you really want to feel every movie scene, try placing your subwoofer under your couch or coffee table. Most of them have cavities that are perfectly sized and shaped for placing an average subwoofer. This way, you will be closer to the source of powerful bass tones and vibrations that will drag you into every scene. Maybe you haven’t noticed it but numerous surround sound amplifiers have a special subwoofer output and it is used to power the subwoofer and enhance its performance. You can simply take a cable that will go from your main amp to the second stereo or mono amp dedicated to your subwoofer, set this up once and later control every change with the main amp. 5.1 and other X.1 systems are the most popular ones. They all have only one subwoofer. In some cases, especially if you have a large room, having two or even 3 subwoofers instead of one is completely fine. In fact, it’s desirable and it will improve bass performance. What does bass management mean? This is the process of removing the bass portion from the signal that goes towards the speakers and re-routing them to the subwoofer or subwoofers. This is actually very similar to a regular crossover. The device that separates the bass portion from the signal is placed either in the subwoofer or in the receiver. In case of 2.1 systems, the bass is managed in the subwoofer that filters the signals and passes the mid and high-frequency signals to the satellites / regular speakers. The situation is a bit different with 5.1 or larger home theater systems because they have the AV receiver that receives all the signals and filters them out, removes the low-frequency tones from the signal that goes to the satellites and sends them to the subwoofer. You probably know that the subwoofer enclosure affects the bass quality a lot. One of the common ways of achieving high-quality bass is to buy the subwoofer with an opened “bass-pass” enclosure. These cabinets are tuned, resonant and the sound can go out through more than one port. These cabinets are great when you need powerful bass for watching action movies with many explosions and crashes but it can also be too boomy and inadequate for high-quality songs where you want to listen carefully to the bass guitar sequence. One of the most important things related to speaker system installation, especially if your subwoofer and your satellites are made by different manufacturers, is to match their phases. This actually means that all the parts of the system should have the same polarity and time alignment. In the opposite case, the crossover region will have some kind of level dip and that won’t sound good. Every part of the system has different phase characteristics that have to be aligned. Also, when they are located in different parts of the room and at different distances from the listening position, you could experience some kind of time delay. All of this can be solved with a good phase controller that is usually located on the quality subwoofers. 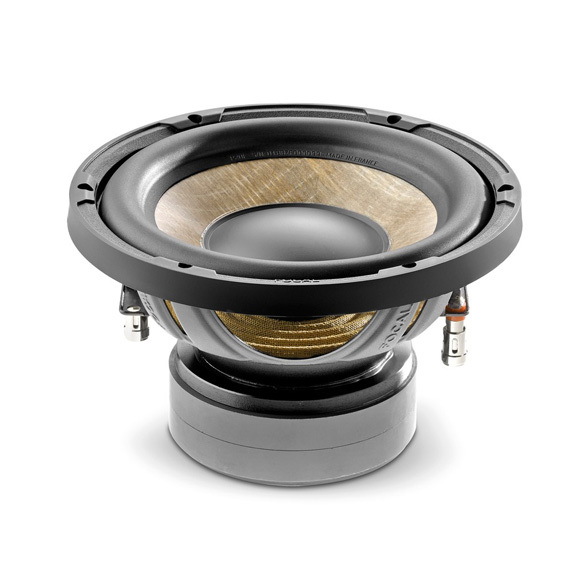 A small adjustment can change the overall sound quality and harmonize the speaker system. In the end, we just want to say that all these tips should be taken with a pinch of salt because every home theater system and every apartment or house are completely different, with different features and acoustic properties. This is why the only correct and honest advice is to experiment with both – your speaker system and your furniture in order to find the perfect combination.